This year’s conference displayed the breadth of just how much “Lean” has grown. From its roots in engineering and startup culture, the Lean Startup movement has sparked a passionate and often very visible community interested in using lean startup principles. Conference attendees and speakers this year hailed from diverse industries and backgrounds, ranging not just from startups and traditional tech, but also healthcare, government, manufacturing, large industry, and especially notable this year – social impact organizations. “A startup is not a product, it’s a human institution developing something under conditions of great uncertainty.” Eric further noted. We certainly live in interesting and uncertain times. 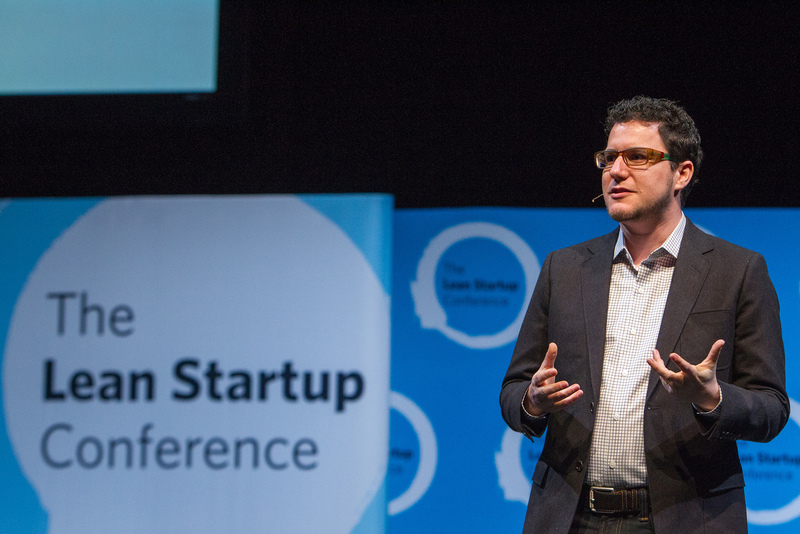 For all its merits as a new management theory, Lean Startup has the fervor of a social moment. There were so many great moments to the conference, here are my top 7 highlights for every entrepreneur (or for everyone for that matter). ElectNext’s Keya Dannenbaum gives a very wise and informed talk on how entrepreneurs should recognize that passion is fleeting, but dedicated practice leads to success. Zach Nies of Rally Software spoke on the importance of framing before taking up the central Lean Startup conceptual loop of build-measure-learn. You’ll need to frame the problem by using empathy and insight documentation, and how hindsight bias eliminates surprises. Consider this a ten minute crash course on the design thinking approach in conjunction to lean. “Screw investment banking, screw consulting. Full time mushroom farming for us!” Alejandro Velez and Nikhil Arora on how they raised $250K on Kickstarter for their MVP product. I loved these guys. A crowd favorite. Patrick Vlaskovits, author of The Entrepreneur’s Guide to Customer Development and an old friend in the Lean Startup Movement, describes how it is not enough to have an innovative product, but also to have an innovative medium. He goes on to talk about TupperWare parties as being the “original growth hack”. Dan Milstein of Hut 8 Labs talks about how you should be really terrified of working on the wrong thing. How do you use your time wisely and tackle your riskiest assumptions? The Muse’s very own Kathryn Minshew dishes out how the “build it and they will come” concept is a horrible idea. She further goes into five zero-cost strategies for customer acquisition. The godfather of Customer Development Steve Blank speaks on the difference between large companies and startups, bringing lean startup methods to the National Science Foundation, and the Lean LaunchPad Educators Summit. And there we have it. I’ll end with one of my favorite quotes from the conference. Hope to see you there next year! About our Ambassador // When not reporting for the Fetch, Jin Zhou is an avid bookworm and tea drinker, exploring the cross sections of technology, psychology, human potential, wellness and compassion. She has previously led marketing at several startups, including The Alchemist Series, VanceInfo and EventBacker. Follow her on Twitter @soulcandies.